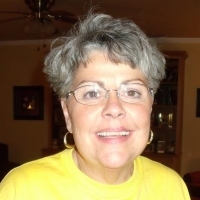 Sharon is a wife, a mother to 2 dogs, Maxie and Gracie, and a retired beautician with 24 years of service. She retired in 1996 prior to moving to Ky. where she lived all of her life in Williamson, WV. In February of 2004 Sharon started attending Mt. Zion and was baptized by Kenny on March 31, 2004. She has been involved with the kitchen ministry ever since. Sharon loves her ministry area especially when it comes to the big events like VBS, Eggs N' More, the Easter breakfast, and Trunk N' Treat. You can always bank on the crowds being large when the children's ministry is involved in any way. If you are looking for an area to get involved, please look her up. You don't have to be able to cook, you only need to come with a smile and ready to laugh and have fun. The kitchen needs YOU!!!! !